In its original inception one of original Overwatch characters was a cat with a rocket pack. If you look careful in this image you will see that character, but when it comes down to it, it still seems like Bridgette is the next character for Overwatch. 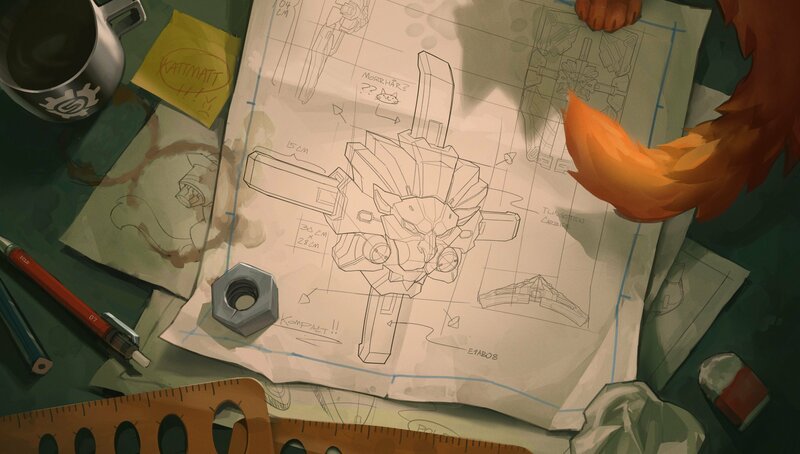 It seems like who ever is in this image owns a cat and is doing maintenance on Reinhardt’s shield, this still points to his goddaughter/ squire Bridgette. Though I am still hoping that like her father she will focus on defense because like I said earlier this section of the game is lacking.